The Rhino Clear Sprint is the latest drug delivery device offered by Woodland Hills Medical Supply. 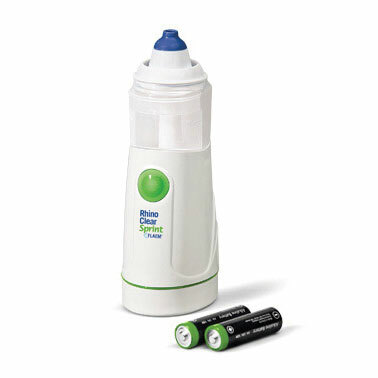 With its small, lightweight and portable design, being powered by 2 AA batteries (disposable or rechargeable), it affords patients the quickest treatment time. The Rhino Clear Sprint holds a full 15 mL of solution and atomizes 2 mL (1 treatment) in just 30 seconds. To prevent the risk of contaminating the solution, it also features a dedicated collection chamber to catch discharge. The Rhino Clear Atomizer is suitable for everyone ages 8 and up, and comes with three different sized nasal adapters for a more custom fit. This entry was posted in ENT on June 18, 2018 by whmedsupply.